School Food and Nutrition Services operates in each school to offer students nutritious, enjoyable, high-quality meals at a reasonable price. A complete lunch offering, includes these components: protein, grains, fruits, vegetables and milk. Several choices within each category are available daily from which students can select a complete lunch. Students must select at least three components with at least one being a fruit or vegetable to make a meal. Breakfast can also be purchased at all schools. A complete breakfast offering consists of grains, fruits and milk. Protein foods are included most days. Other foods are available on an a la carte basis. 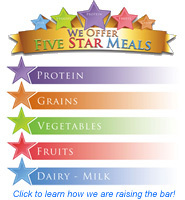 Our meals are planned by Registered Dietitians and are based on the 2010 Dietary Guidelines for Americans and the Healthy Hunger Free Kids Act of 2010. 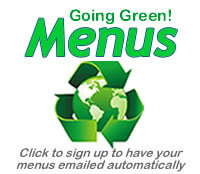 Call 703.791.2776 for daily menu information. 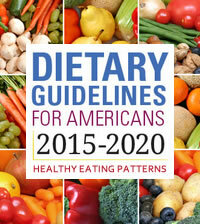 Click here for information on special diets, food allergies, ingredient lists, etc.